Developing the future through hope. Can Muffins have a Mission? Our muffins empower homeless and employment-challenged individuals to start new lives full of hope, meaning and achievement. As part of ﻿Central Union Mission’s﻿ Ready 2 Cook program, our employees learn baking, retail, marketing and business skills that help make them ready for the job market. At Mission Muffins, we believe we can replace dependence (“Will Work for Food”) with responsibility (“Will Work for My Future”), pairing the employee’s potential with his or her determination to succeed. Regardless of the past (poverty, abuse, addiction, illiteracy, violence, ill health, prison, etc. ), we believe each person can have a purposeful future. During their training period, we work with local businesses and agencies to find them permanent employment or entrepreneurial opportunities. Employees live and eat at the Mission at no cost and save their wages for permanent housing. Every time you purchase one of our delicious products, not only are you getting the best baked goods money can buy, but you are helping to train and equip a homeless or employment-challenged individual to return to society. 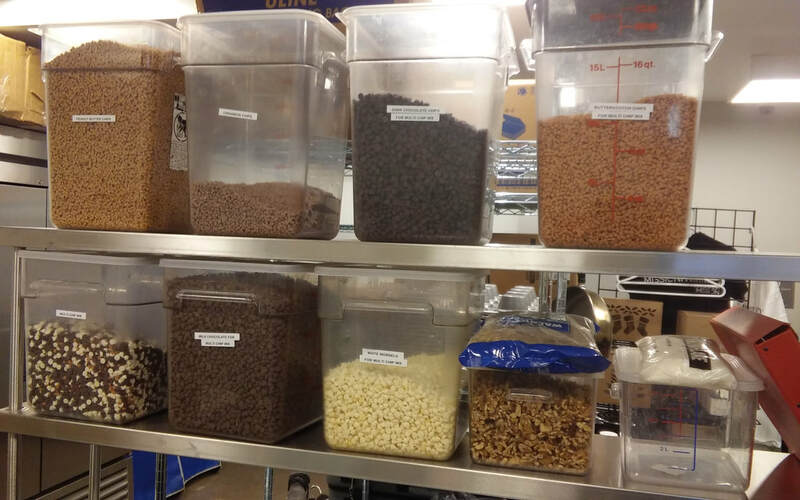 For those who simply want to help, you can make a donation to the Mission Muffins program which also helps buy ingredients, pay wages, and provide room and board for the men we serve. Who would have thought that doing good could taste so good? Mission Muffins is a "Ready 2 Bake" workforce development program, and is just one of the "Ready 2" programs available to the men served by Central Union Mission. To learn more about all of these workforce development opportunities, click here. Muffins with a Mission can change a man's life! 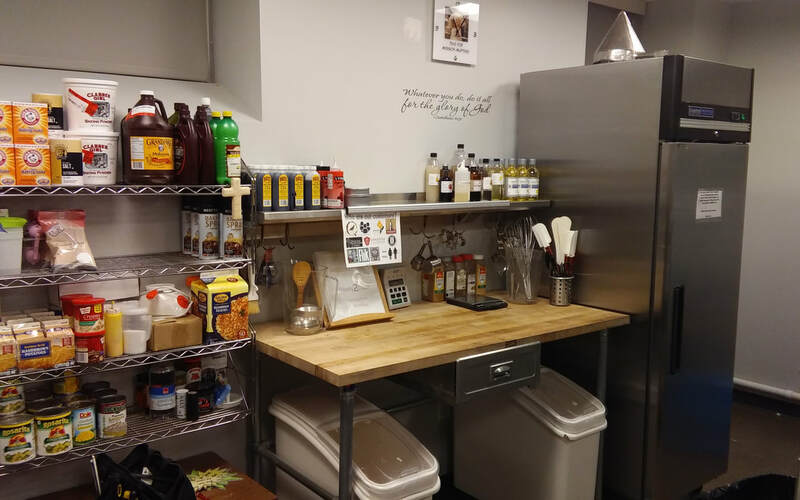 Thanks to generous donors Jason Kuck, Melissa Emery, St. Brendan's Church and Restoration Church of DC, we have a place that enables a broader level of training and production, helping us to enter 2018 with even bigger and better ways to help the men of Mission Muffins. Above, Kenny Gaskins and Greg Stevens serving customers at one of our monthly bake sales. This one is at Mclean Bible Church on the 3rd Sunday of every month. For information on how we can partner with YOUR church or organization, click here. Did you know that there’s a way to both buy from us and contribute to the broader good of the community? It’s called Breadcoin. We are proud to be the first vendor to participate with Breadcoin, which is essentially a food token that people can buy and hand out to anyone they’d like to feed. It’s redeemable for (only) food at a participating location like ours. Breadcoin is a way of providing dignity and human connection, and we are seeing it work effectively on the streets of D.C. (and, now, beyond) where so many people want to give meaningfully to alleviate someone’s hunger but aren’t always sure if cash is the answer. Of course those who purchase them can use them themselves too, which helps to ensure that the entire network flourishes. Learn more and buy breadcoins here. Serving up the best (and probably ONLY) $5 breakfast in DC. M-F from 7 AM until 10 AM. Stop by our custom concession stand (think "Food truck without the engine") and discover the many ways that "Doing good tastes so good."